The Isaac Theatre Royal is committed to being a modern accessible venue for theatre patrons of all types of disability. All three levels of the Theatre are accessible via an elevator, which is situated inside the main entrance foyer to the right hand side of the entrance and adjacent to the Stalls foyer bar area. The elevator serves the foyer areas on each of the three floors. 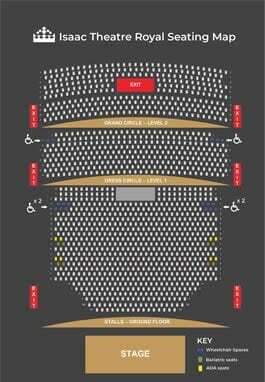 Wheelchair seating is available in the Stalls (four seats – in rows S and T, two each side) and Dress Circle (two seats – one either side in row H ). There are also a further four specially modified ADA seats in the Stalls (two on each aisle of rows I and M), where the arm rest of the seat opens so a person can move easily from their wheelchair. Bariatric seating options are also available on the Stalls level only and upon request in advance of booking. 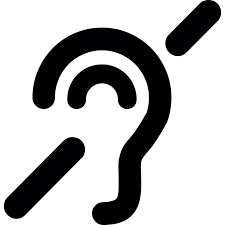 The Isaac Theatre Royal is equipped with a hearing loop system on each level of the auditorium. Accessible toilet and washroom facilities are located on each level of the theatre, two in the Stalls foyer area, one in the Dress Circle foyer and two in the Grand Circle foyer. Bookings for special seating requirements such as wheelchair access, hearing difficulties or companion seating need to be made by phone to Ticketek on 03-2605260 or in person at the Isaac Theatre Royal 145 Gloucester Street, Monday – Friday 10am – 5pm.